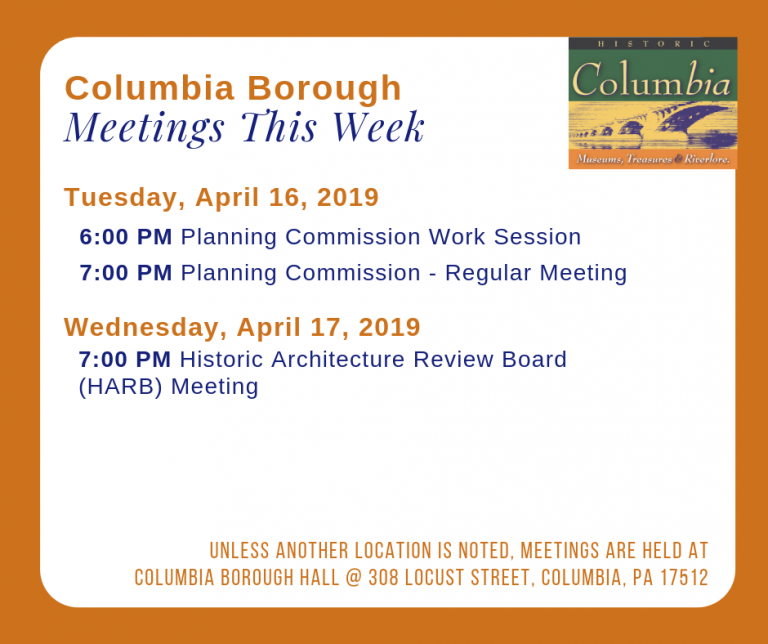 At the Borough Website | Upcoming meetings for this week are posted at the Borough Website; the Planning Committee’s meeting agenda is here. • 331 N. Third St.; John R. Chamberlin, owner. Replace front door on a recessed entry bay with a new steel entry door. • 160 Walnut St.; Dennis Kemmick Jr., owner. Remove vinyl siding from the brick facade of a rowhouse. • 318 N. Third St.; Tracey Allen, owner. Replace front entry door with a new paneled steel entry door. • 730 Chestnut St.; Ronald Harman, owner. Replace slate roof shingles on a residential duplex with new asphalt shingles. I read the story on new phone tech. wanting to save it when I went back to news & views I could not find it. Gee, we wish we could help out with your question, but over the years we’ve posted several thousands of articles (each with several links to separate articles) and just cannot point you to the one you’re referencing. You may want to try to SEARCH for keywords you may recall from the article at the Columbia news, views & reviews site.